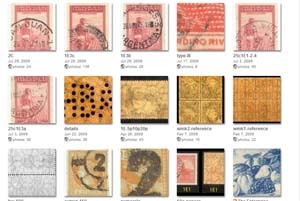 A wonderful selection of these high value philatelic covers is being auctioned on ebay. 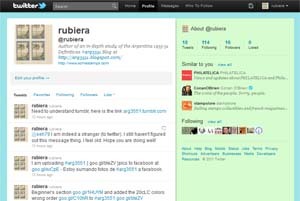 I have gotten bid out of most of them, yet I have a representative sample as shown here. 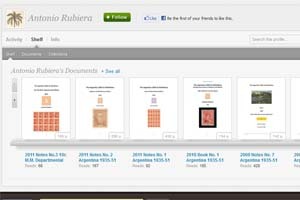 The covers bear the high values, mostly the 2 pesos and 5 pesos, and at least one with a 10 pesos value. 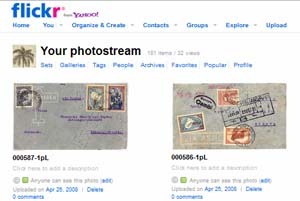 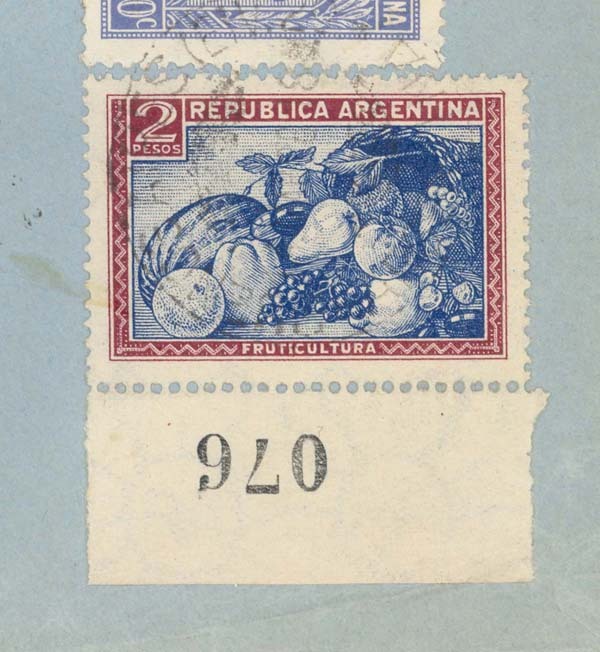 The rates don't match correct rates, as is to be expected for a philatelic use. 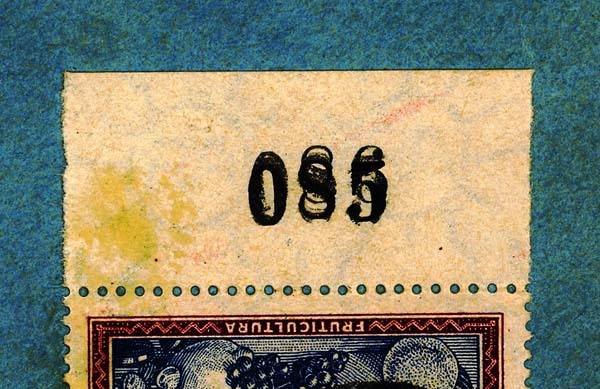 Without knowing the weight of this specific cover, it is likely the correct rate was 15 centavos with registration or ceritification fees in multiples of 50 centavos or 1 peso, and not exactly 4 pesos. 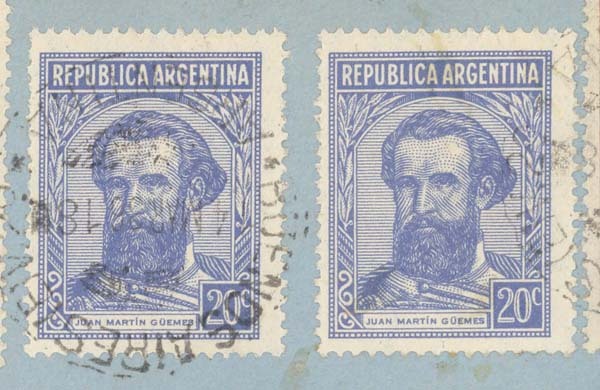 The left stamp has a minor plate variety - El sello a la izquierda tiene una variedad menor de plancha. 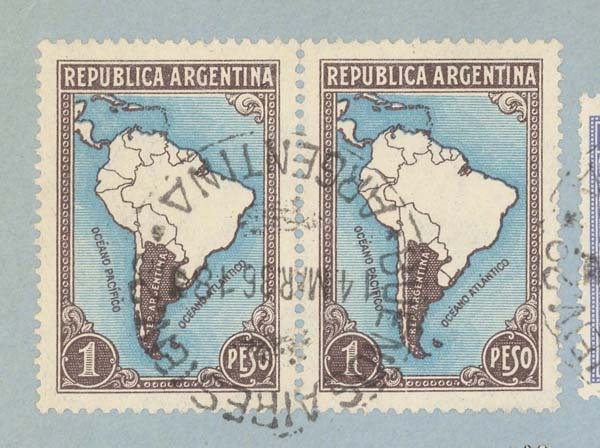 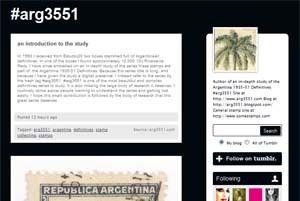 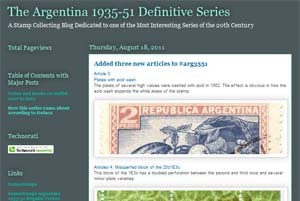 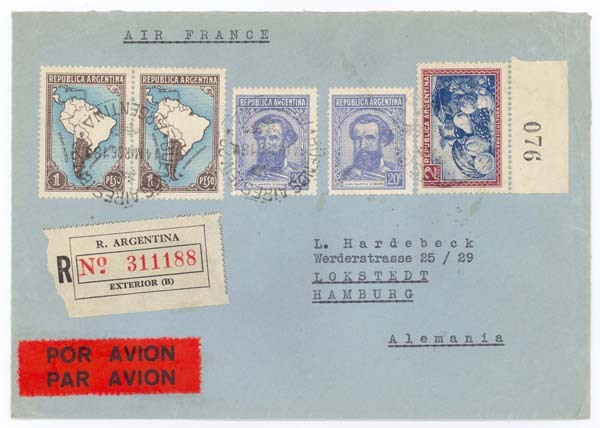 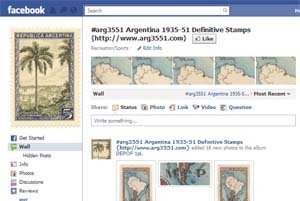 The right stamp is the "long scratch across Argentina map" plate variety. 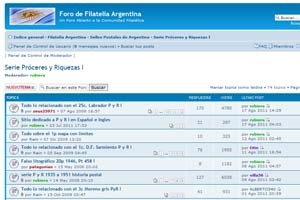 - El sello derecho es la variedad de plancha "raya a lo largo de La Argentina." 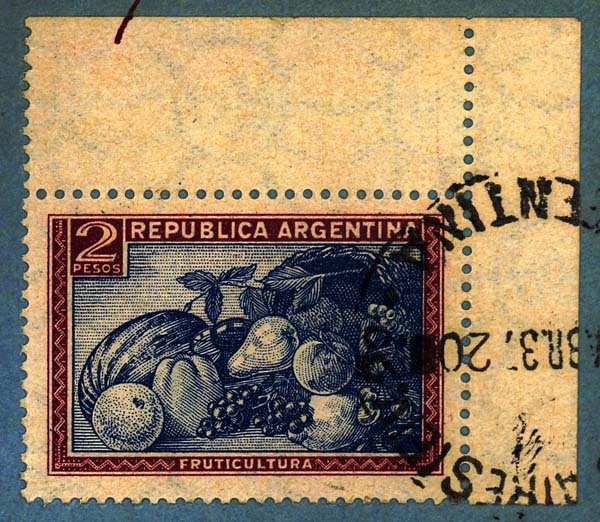 The 2 pesos has to be 1E1 because this was the only paper in use in early 1936. 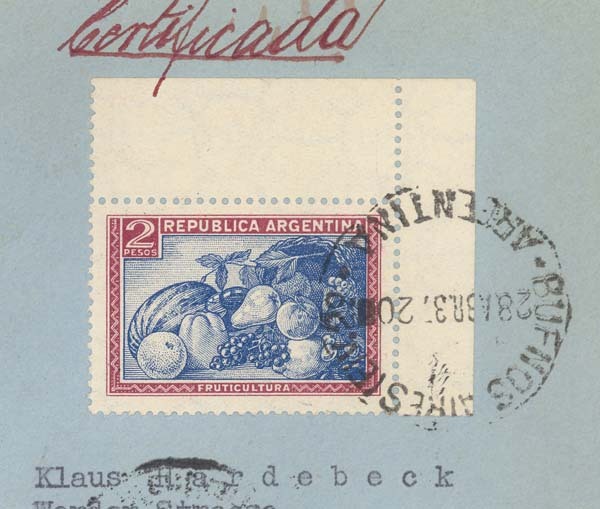 - El 2 pesos debe ser 1E1 en base a la fecha de uso principio de 1936. 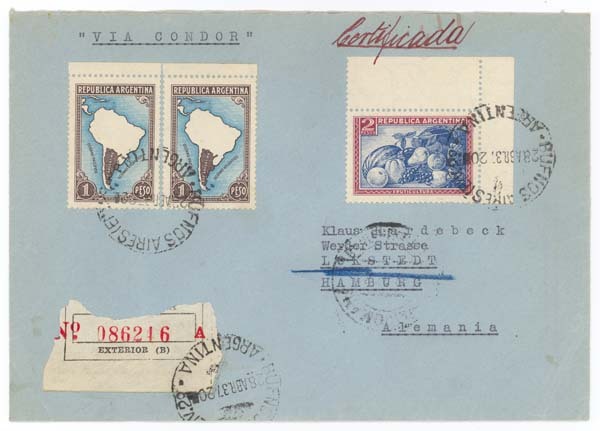 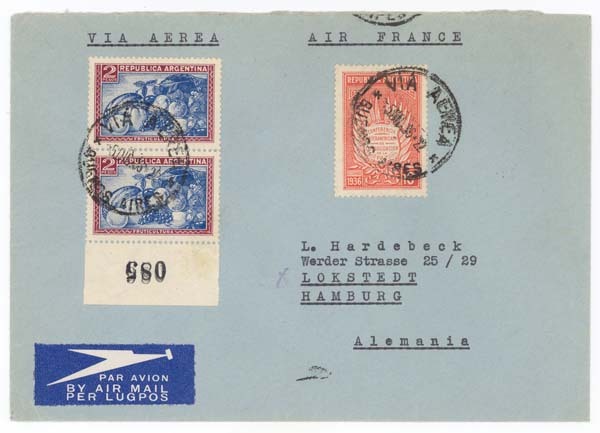 This cover could almost pass for a regular use with the added 10c, but it is a philatelic use. 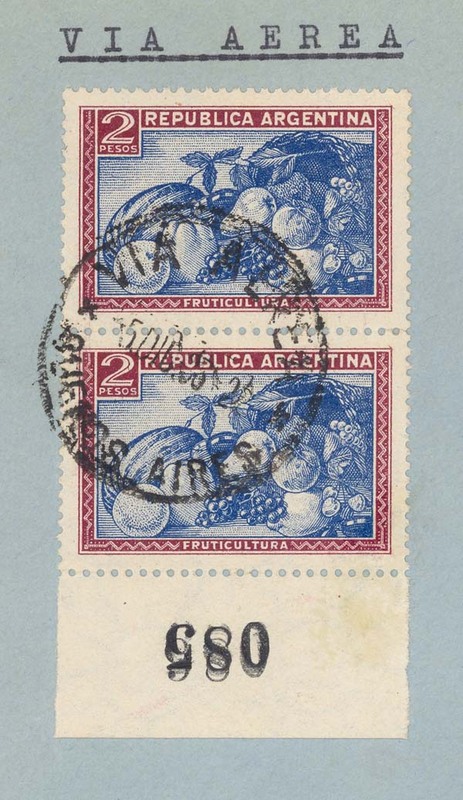 - Esta cubierta casi pasa como uso regular con el sello de 10c, pero es una cubierta filatelica. 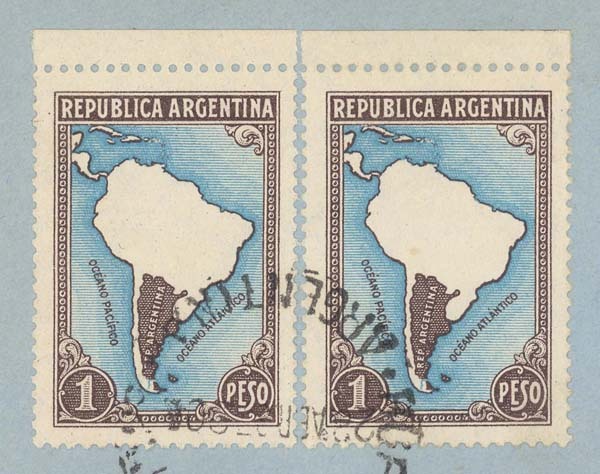 The only paper in use in early 1936 is the 1E1, this is a 2p1E1 - El unico papel en uso a principios de 1936 es el 1E1, y este sello es el 2p1E1.